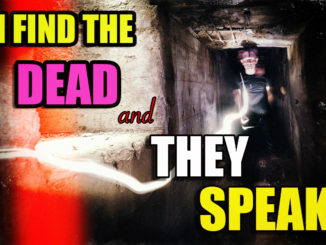 HomeConnectionThe BEST “From thin Air” Class A EVP’s I have ever captured. 100% UNDENIALBLE. Hear them. November 16, 2017 Connection, DR60, Ghost Box, INCREDIBLE, ITC, News, Spirit Communication, Talking to the Dead, Video Comments Off on The BEST “From thin Air” Class A EVP’s I have ever captured. 100% UNDENIALBLE. Hear them. Below is a video I shot while in Sedona AZ on camera business this week. You can see what I did there on business HERE. But also while there I fired up my Panasonic DR60 recorder and captured some of the best EVP’s from thin air that I have ever captured, or to be honest, heard. 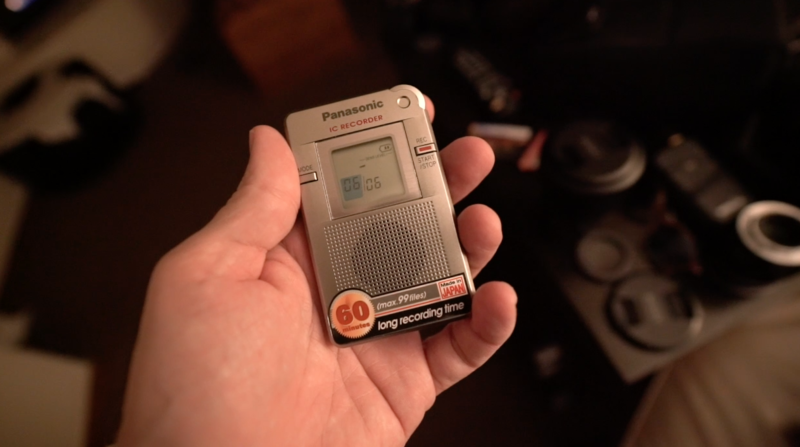 The Panosnic DR60 is a digital voice recorder that is rare, and has the ability to capper LOUD clear EVP for me nearly 100% of the time I press record. Direct answers. Pure direct answers. It’s undeniable and truly makes me cherish this recorder. They are not cheap to acquire as they are all old, and getting more rare every year. While not to a level of the latest Wonder Box, what comes from the DR60 is astounding because sports can speak so loudly using it, and when they have the energy, it is a special thing to witness and experience indeed. With a connection, and energy present spirits can talk up a storm on this recorder. SEE THE VIDEO BELOW. A MUST SEE! I have these EVP’s on the recorder, and I will not delete them. EVER. They are great examples of the DR60, and what it sounds like and what it can do. It truly is a unique one of a kind recorder that NO OTHER RECORDER ever made can touch for EVP capture. Again, nearly 100% of the time I record on this I get a response via EVP. To me, EVP is from thin air, like it always used to be. I do not consider a Wonder Box, Geobox, Hack Radio, or ANY other ghost box that uses an audio source, radio or app, to be EVP. I call that spirit communication. EVP to me, pure EVP is from thin air. While I know how this recorder works, or at least I think I do, it all makes sense as to why this recorder is so so special. I was in Sedona in the middle of a Vortex area so there was TONS of energy for the spirits to use, and the one with me, DAVID has been coming through my Wonder Box and older Portal for years. Here he spoke to me directly, after my questions were asked. Spirits NEED energy to speak, and I will say right now, as I have said for 5 years. THEY DO NOT LIKE OR WANT EM PUMPS. It hurts them. They do not like it. Even my good friend Josh Louis from hope captured an EVP the other day where he used an EM pump and the reply was a LOUD “TURN IT DOWN” on his DR60. Josh owns this recorder as he bought one as soon as he saw and experienced it when we worked together recently in Canada (See that HERE). He loves it and is getting amazing EVP’s with it as well. This recorder, is THE REAL DEAL my friends. 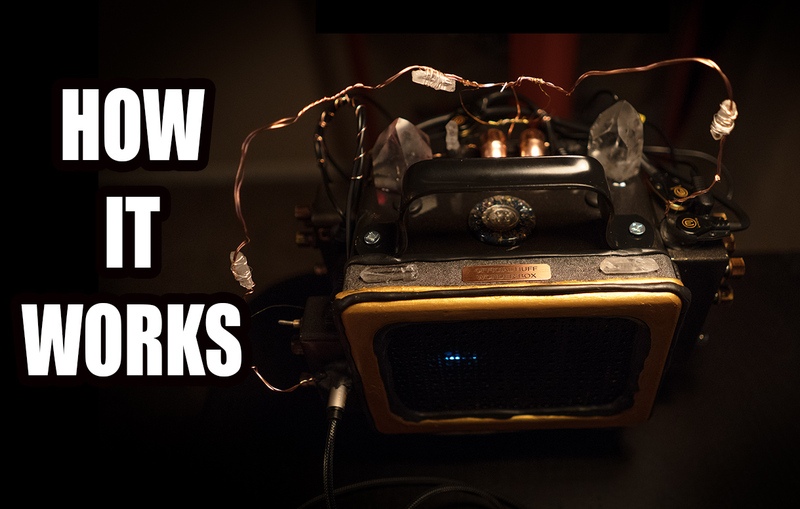 It is part of ITC History and if you are serious about ITC research and can swing it, this would be a better buy than ANY spirit box right off the bat. Unfortunately they are on eBay for crazy money and have been for years. I owned two, and sold one and now SO regret selling my spare. It’s that good. So if you watched the video above (and you should) you will see just how amazing the DR60 is for true, real, from thin air EVP that no one on earth can explain and no other recorder on earth can deliver on such a consistent basis. While this recorder has been shrouded in controversy over the years, I am here to tell you that it’s a serious, real, amazing tool for true EVP work. Best you can get. To those who have been asking me for a cheaper option, there are none. NO recorder wether it is $30 or $2000 can do what the DR 60 does. I own six recorders now and have tried the $200, $400, $600 Panasonic models being sold on eBay and they are no better than a $30 recorder, so do not fall for the ads that say “Like the DR60” or “Use with the DR60” as they are nothing like the one and only DR60. Thank you all, and remember…life is all about LOVE so LOVE life and LOVE others. Until next time, love to all..